AUDIO: DJ YRS Jerzy feat. 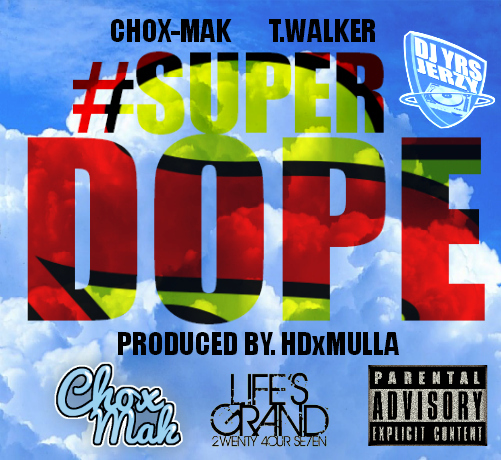 Chox-Mak & T. Walker - "Super Dope"
There is no telling where this duo DJ YRS Jerzy And Chox-Mak will go in the future but there careers are defiantly looking bright. They deliver the people classic records and "Super Dope" is no different from what everyone expects. This track is also featuring T. Walker who comes in at the first verse it's just a chill type of track with lyric after lyric. Many people that appreciate real hip hop can relate with this track there are alot of subjects in this track that you have to listen closely to find.